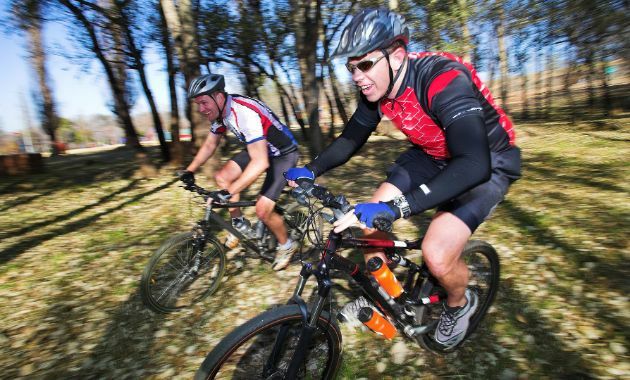 CSU News Latest news Business & Commerce ‘Risk’ news – who do you believe? Research by a Charles Sturt University (CSU) academic will help the understanding of risk communication in both traditional and emerging media. 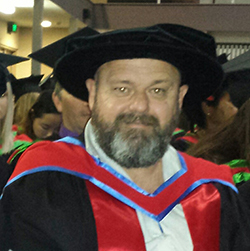 Dr John Gaffey (pictured), lecturer in justice studies at the CSU Centre for Law and Justice in Bathurst, graduated on Thursday 14 December with a PhD for his dissertation about how audiences place value on both news and the authority of the source of ‘risk’ messages. He found that news stories present risk information through narrative and the experiences of non-experts, and his interviews with viewers found they prefer this. “This research used case studies drawn from television current affairs news stories to examine their narrative structure,” Dr Gaffey said. “I also examined experts and non-experts who provided information, and I interviewed viewers. “The research findings are applicable not only to traditional media sources who may convey information about risk. Dr Gaffey said television news audiences express a preference for narrative-based, experiential risk information over risk information presented as expert knowledge. “I conclude that audiences invest authority in risk information communicated through those they see as experiential proxies,” he said. “Experiential knowledge becomes discourse, which is in demand by consumers who are distrusting of experts and of having to navigate ‘contested knowledge’ (such as claims of ‘fake news’). “Contemporary media such as online news sources and social media represent a new mode of news delivery that allows for risk communication to occur in a highly curated and personalised news environment. Contact CSU Media to arrange interviews with Dr John Gaffey. Dr Gaffey graduated on Thursday 14 December 2017. The title of his PhD thesis is ‘Experiential knowledge as discourse: authority and parrhesia in news media risk communication’.